On December 18, 2018 the statutory meeting took place to assign new members of the Civil Council at the State Fiscal Service of Ukraine. 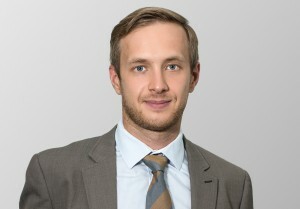 Ivan Shynkarenko, partner at , was elected to the Civil Council at the State Fiscal Service of Ukraine in the capacity of representative of the German-Ukrainian Chamber of Industry and Commerce. The list of new members of the Civil Council, officially approved by the order of the State Fiscal Service of Ukraine, is available by the link. The Civil Council at the State Fiscal Service of Ukraine is an advisory and consulting body, which aims to facilitate a cooperation between fiscal authorities and the public, as well as to improve the quality of preparation and adoption of principal decisions with due regard to the public opinion. Besides, the Civil Council intends to create conditions for elaboration of such decision with participation of the public. We congratulate Ivan on his election and wish him success and inspiration in his public activity!